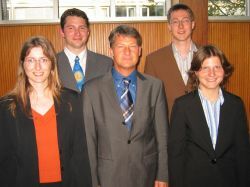 The master's thesis of Nathalie Basselin from her studies at a French-German institute (DFHI / ISFATES), concerning early user studies in the context of SPECTER, was awarded a German national prize as one of the 4 best computer science master's theses from an Applied Science University. 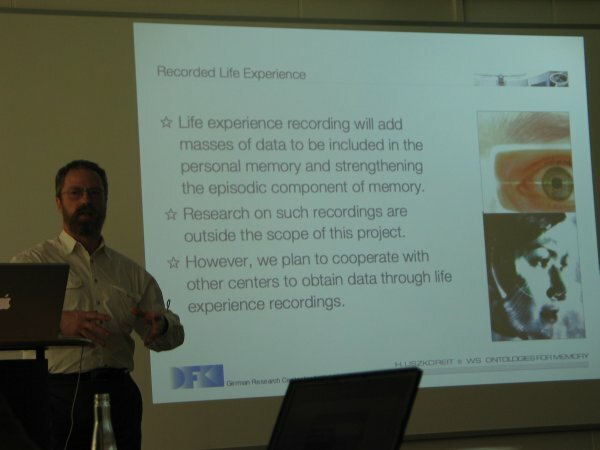 Several projects at the DFKI address the issue of "Personal Memory". This internal workshop will bring the members of some of these projects together with the goal of identifying commonalities and potential synergies between ongoing activities. 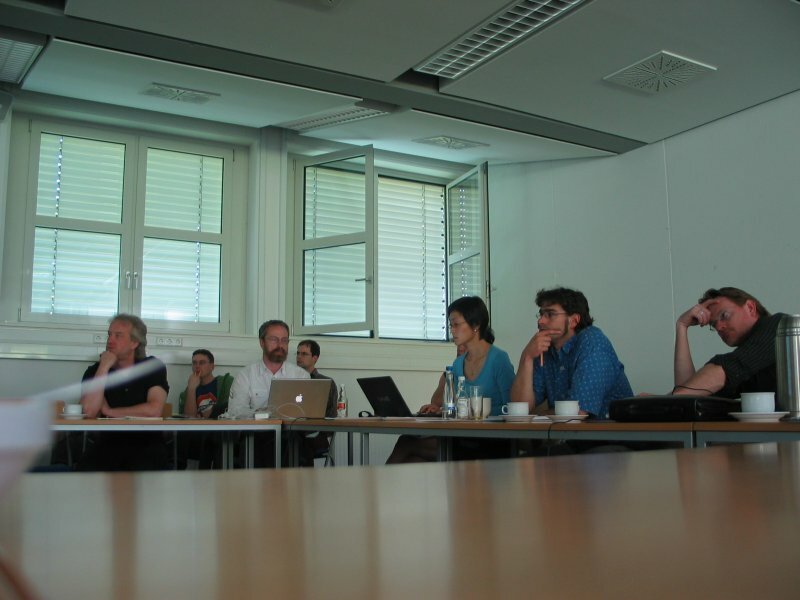 In addition, researchers working on proposals for planned projects will report about their current work, and how it might evolve in the future. 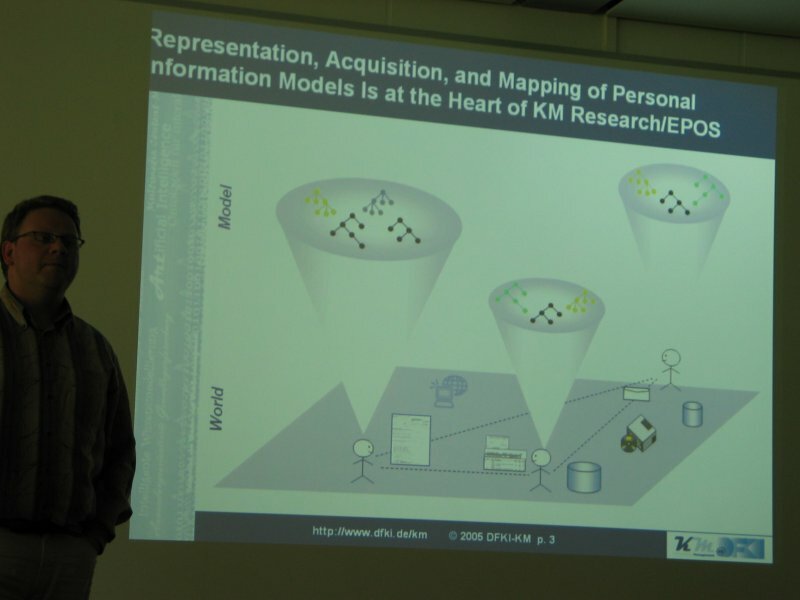 The workshop is composed from an invited talk and three sessions offering talks of special interest for the workshop's scope: the vision of works applying memory-like components, the structure of the involved ontologies and the way how these are applied. 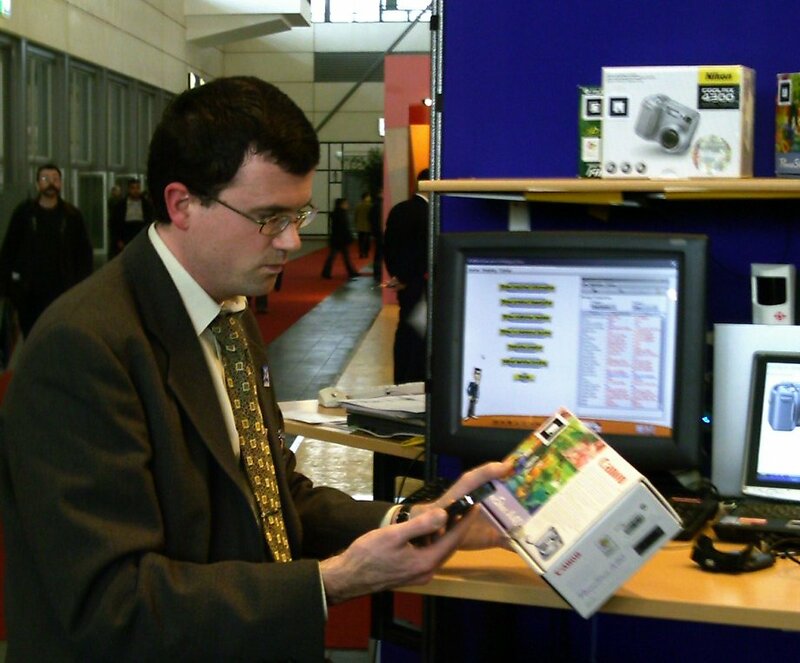 From the 10th to the 16th of March 2005, SPECTER is presented at the CeBIT fair in Hannover, Germany. 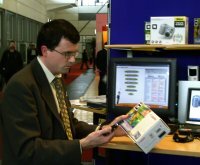 The presentation is performed together with the Mobile Shop Assist. 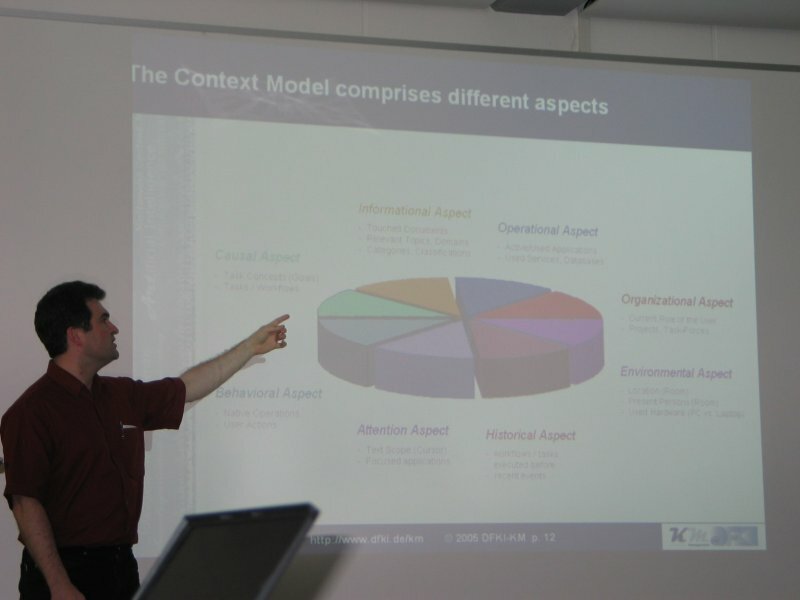 The demonstration takes place in a product information scenario, and consists of two phases. In the first one, we have a user equipped with a PDA, who is interested in a product rich in features - e.g., a digital camera. 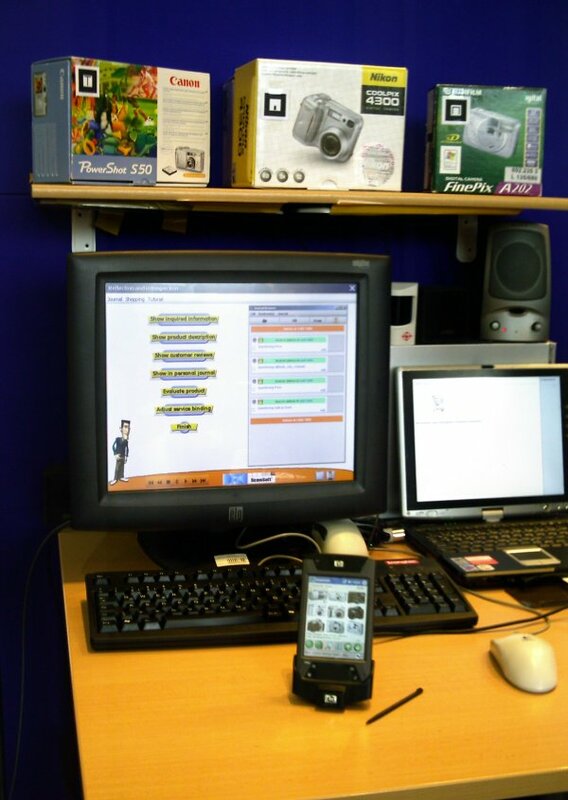 Our user is inside of a shop in front of a shelf filled with cameras, and has downloaded a product catalogue to the PDA. At that point the demonstration starts. Using the Mobile Shop Assist, the user can perform multi-modal interactions including speech, handwriting and gestures in order to acquire information about product features. These actions are stored in SPECTER's memory. In the second phase of the demonstration, we show how that memory can be applied as reminder for the user, and for user support. The scenario changes to the user's home, where she tries to remember which products she has already seen. Thus the user starts an introspection of the past events together with SPECTER. In the sequel a virtual character guides her through the recorded actions. During that process SPECTER detects the previously performed information actions. To assist the user in her decision making process, SPECTER offers in the following varying services, including a detailed feature comparison, and additional product information acquired from a public Web service.